I was introduced to running by a former neighbor of mine who was about to run the San Francisco Half Marathon. I thought, “If she can do it, I can do it….and I’ll do it better!” I’ve been active all my life, so I figured it couldn’t be too hard. While I wouldn’t say I was a novice, I hired a running coach to ensure I didn’t get injured. I beat my neighbor by four minutes, which I must admit was very satisfying! Since then, I continue to run races to establish short term goals, and now have a new great running friend (who is much faster than me and I’ve yet to beat her in a race!). I’ve learned through these experiences the importance of knowing what motivates you and how to hold yourself accountable to the goals you set. It is often this insight that can also explain what prevents us from being more disciplined. For me, I like the recognition I receive from others when I do well. I appreciate the acknowledgement, and I find it validating. I tend to run faster as I pass a crowd cheering me on, or as I cross the finish line knowing I’m working against the clock and that others will see my time. Hearing the cheers, people clapping, and seeing the time on the clock encourages me to push harder. This is accountability at its best. I don’t do it for others – I do it for myself, and I rely on my own drive to get me through. As leaders, it’s important to not only learn more about what motivates the people around you, but also what motivates you. Knowing yourself allows you to be an authentic leader, and knowing what motivates people allows you to provide more opportunities for others to become self-driven- relying less on you to get them to higher levels of performance. If you struggle with understanding your people, what motivates them, and what you can do to create a culture of accountability, contact us. 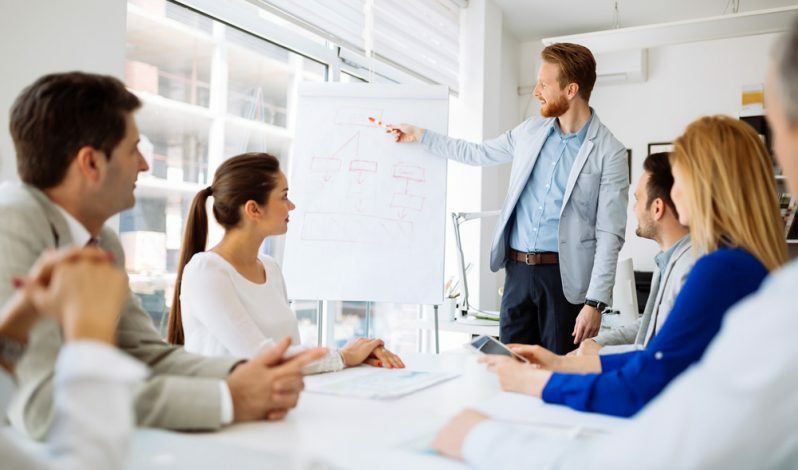 We have leadership development programs, workshops and coaching designed to help you and your teams increase motivation, improve accountability and function as high-performing teams. Kathy Sullivan is the Senior Management Consultant of PRADCO.